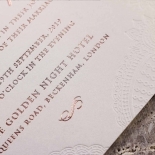 For brides wanting a regal fairy tale story like wedding with a twist of minimalistic styling, this wedding invitation is the perfect choice. 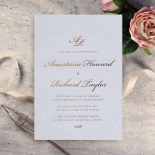 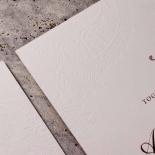 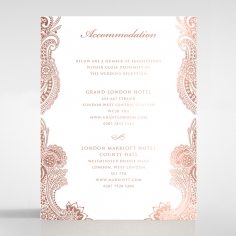 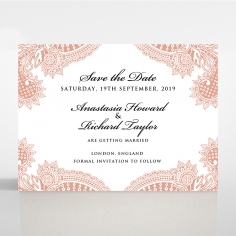 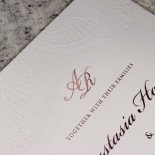 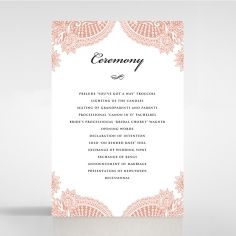 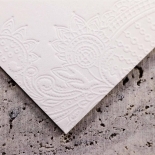 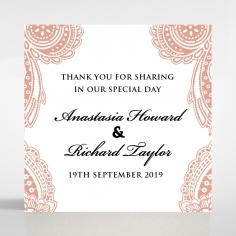 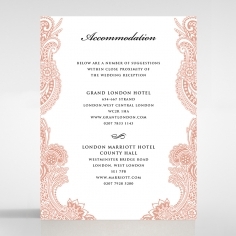 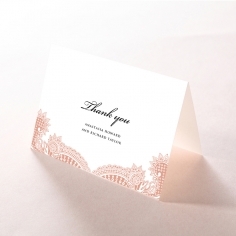 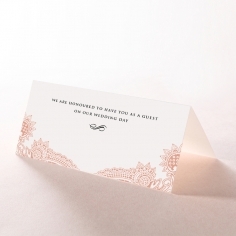 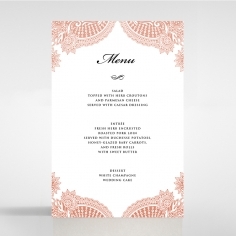 This is a beautiful invite styled with glamourous detailing of a baroque brocade with florals that have been impressed onto the matte white German card stock to produce a very intricate letterpress pattern as a border to frame your personalised wording. 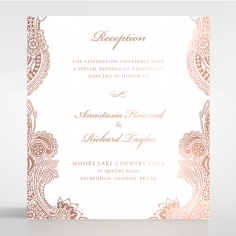 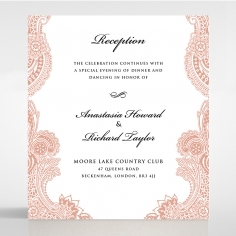 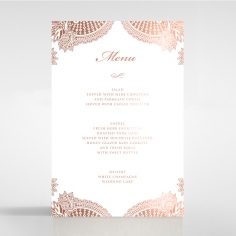 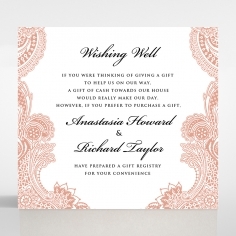 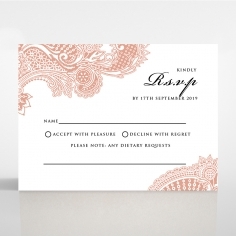 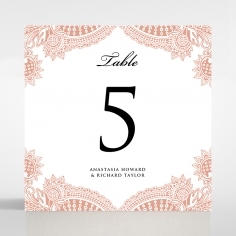 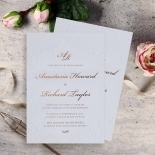 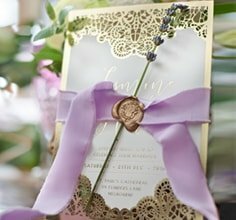 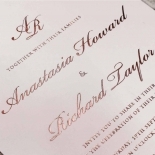 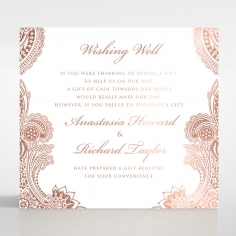 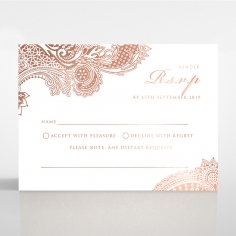 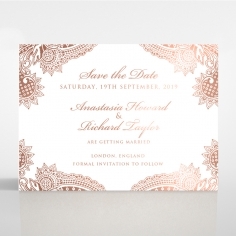 Your invite message can be laid out in a format of your liking to suit your theme and it will be foil stamped onto the card stock in luxurious rose gold foil that adds extra texture to this work of art’s surface.